Last week, my father in law had to stay in hospital to have an operation, and so we invited my mother in law over for the night. 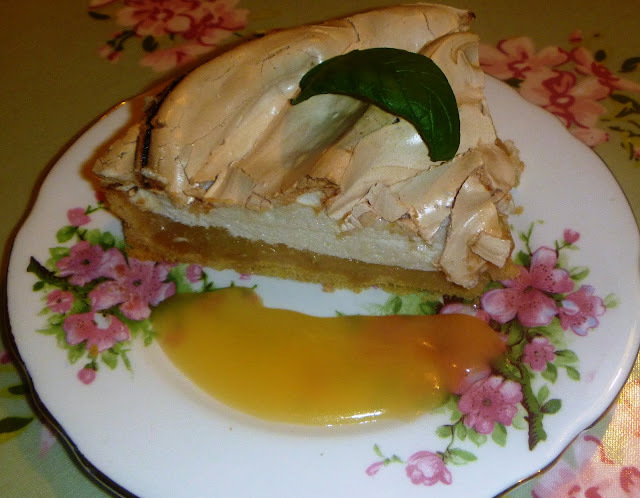 Knowing how much she loves lemon curd, I decided to make a lemon meringue pie, using the lemon curd I bought from Kitchen Garden Preserves at the Real Food Festival. The lemon curd from Kitchen Garden tasted absolutely delicious – so rich and lemony. In the past I have found lemon curd very sweet and sugary, but this lemon curd had just the right amount of sweetness and tangy lemon. 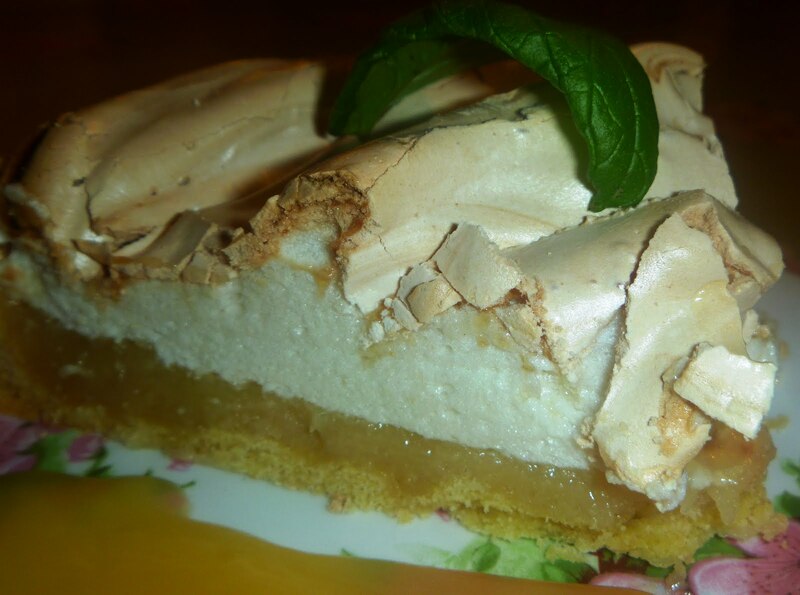 I have never made a lemon meringue pie from scratch before, but after doing so, I am of the opinion that fresh home-made lemon meringue pie tastes so much better than the shop-bought equivalent. 1) To make the pastry, place the flour, butter, icing sugar and egg yolk into a food processor. Add 1 tbsp of cold water. Process the mixture on pulse mode until the mix starts to bind. 4) Whisk the egg whites in a large bowl, until they form soft peaks. Add half the sugar, a spoonful at a time, whisking in between. Whisk in the corn flour, then add the rest of the sugar as before, until the mixture is thick and forms stiff peaks. 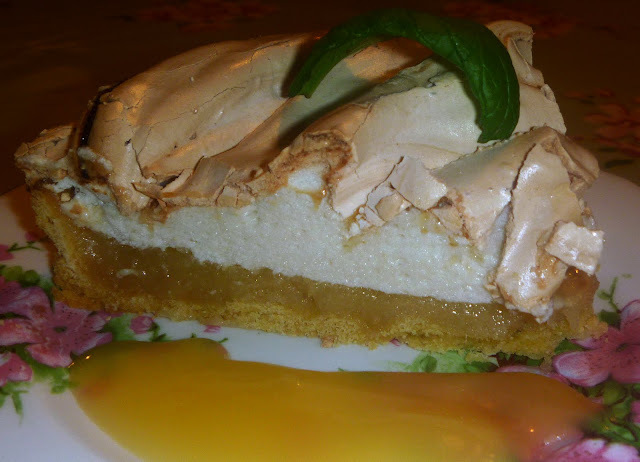 5) Once the meringue is made, pour the jar of lemon curd over the pastry and smooth over. Don’t overfill the tin. 8) Let the pie sit in the tin for 30 mins once cooked, then remove and leave if poss for another 30 mins before serving.